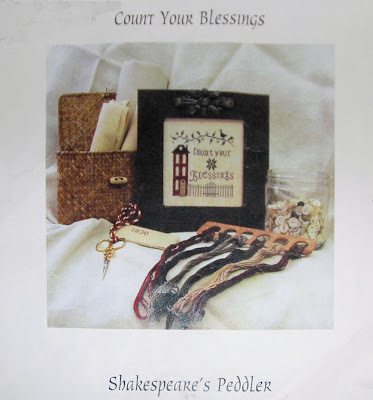 Bits of My Own: It's Time for The Traveling Pattern to move on! I worked hard on this to make it my final finish of 2012. For those of you who don't know, The Traveling Pattern was started by Sharon ( It's Daffycat ), back in Feb of 2011. The design is Count Your Blessings, from Shakespeare's Peddler. I changed the colors in mine to make it look more like my own gray cedar-shingled house. 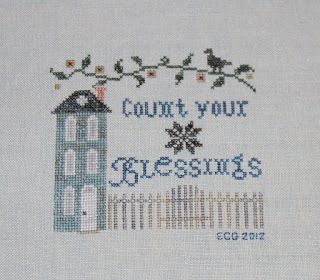 It is stitched on palest green 40 ct linen, using Sampler Threads. So there you have it. 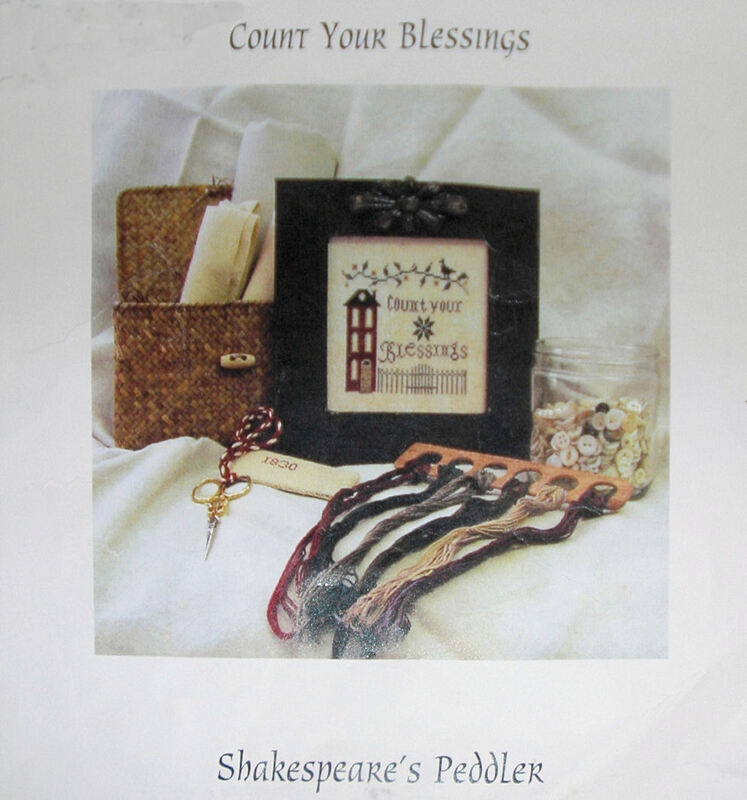 If you would like a chance to stitch this well-traveled pattern, leave a comment on this post, and I will pick the winner on January 6th 2013. I would like to stitch this too so count me in. I love the muted colours of this piece. I would love a chance to stitch this. Please count me in. What a cute pattern. I do love your colors. I do like the colours you stitched with. It gives the pattern a totally different look. While I like the original colors, the grey/blue you chose is beautiful. A happy and healthy new year to you and your family. I like your choice of color! I'm sure you will smile each time you see this piece. I've been chasing this pattern around the internet for most of last year, so I'm hoping it is going to be making it's way to Pennsylvania this time. I'd love a chance to stitch this! The colors you have chosen are very pretty.